University of California-Berkeley, EECS, 1990 B.S. He is a Professor at the University of Washington's Department of Electrical & Computer Engineering, in the Embedded Systems and VLSI group, and an Adjunct in the Department of Computer Science and Engineering. His work is focused around FPGAs, chips that can be programmed and reprogrammed to implement complex digital logic. His interests are the application of FPGA technology to situations that can make use of their novel features: high-performance computing, reconfigurable subsystems for system-on-a-chip, computer architecture education, hyperspectral image compression, and other areas. His work encompasses VLSI, CAD, and applications of these devices. He is editor (with Andre' DeHon) of a book on reconfigurable computing: Scott Hauck, Andre' DeHon (editors), Reconfigurable Computing: The Theory and Practice of FPGA-Based Computation", Morgan Kaufmann/Elsevier, 2008. 2015 Gaetano Borriello Professorship for Educational Excellence. IEEE Fellow, 2015, for contributions to Field-Programmable Gate Array based systems. S. Hauck, T. W. Fry, M. M. Hosler, J. P. Kao, "The Chimaera Reconfigurable Functional Unit", IEEE Symposium on FPGAs for Custom Computing Machines, pp. 87-96, 1997. S. Hauck, Z. Li, E. J. Schwabe, "Configuration Compression for the Xilinx XC6200 FPGA", IEEE Symposium on FPGAs for Custom Computing Machines, pp. 138-146, 1998. Z. Li, K. Compton, S. Hauck, "Configuration Cache Management Techniques for FPGAs", IEEE Symposium on FPGAs for Custom Computing Machines, pp. 22-36, 2000. P. Banerjee, N. Shenoy, A. Choudhary, S. Hauck, C. Bachmann, M. Haldar, P. Joisha, A. Jones, A. Kanhare, A. Nayak, S. Periyacheri, M. Walkden, D. Zaretsky, "A MATLAB Compiler for Distributed, Heterogeneous, Reconfigurable Computing Systems", IEEE Symposium on FPGAs for Custom Computing Machines, pp. 39-48, 2000. Best Paper Award, Microelectronic Systems Education Conference, 2007. Elixent, Inc. S.O.A.P.-Star: Spot On Award Program (employee achievement award), 2006. Nominated, U.W. College of Engineering Faculty Innovator for Teaching, 2007, 2008, 2009. Yang Research Award to Akshay Sharma (2005), Mike Haselman (2010). Reconfigurable Subsystems for System-on-a-Chip; FPGA Architectures, CAD tools, Compilers, and Applications; VLSI Design & CAD. Development of high-speed genome resequencing and related bioinformatics/genomics algorithms on reconfigurable logic. Ongoing development efforts on FPGA-based detector electronics for the Large Hadron Collider at CERN in Europe. This includes efforts on the RD53A emulator. Creation of an FPGA-based link between cellphones and cochlear implants to allow the development and long-term testing of new signal processing algorithms to aid in the hearing of people with cochlear implants. Creation of power-efficient programmable fabrics and CAD flows using ALU-based computation units, heavily pipelined bus-based interconnects, and time-multiplexing. S. Hauck, A. DeHon (editors), Reconfigurable Computing: The Theory and Practice of FPGA-Based Computation", Morgan Kaufmann/Elsevier, 2008. S. Hauck, "Asynchronous Design Methodologies: An Overview" (PDF), Proceedings of the IEEE, Vol. 83, No. 1, pp. 69-93, January, 1995. S. Hauck, "The Roles of FPGAs in Reprogrammable Systems" (PDF), Proceedings of the IEEE, Vol. 86, No. 4, pp. 615-638, April, 1998. S. Hauck, "The Future of Reconfigurable Systems" (PDF), Keynote Address, 5th Canadian Conference on Field Programmable Devices, Montreal, June 1998. S. Hauck, A. Agarwal, "Software Technologies for Reconfigurable Systems" (PDF), Northwestern University, Dept. of ECE Technical Report, 1996. K. Compton, S. Hauck, "Reconfigurable Computing: A Survey of Systems and Software" (PDF), ACM Computing Surveys, Vol. 34, No. 2. pp. 171-210. June 2002. S. Hauck, K. Compton, K. Eguro, M. Holland, S. Phillips, A. Sharma, "Totem: Domain-Specific Reconfigurable Logic", 2006. M. Haselman, S. Hauck, "The Future of Integrated Circuits: A Survey of Nano-electronics", Proceedings of the IEEE, Vol. 98, No. 1, pp. 11-38, January 2010. Hardware Emulation of the RD53B Chip for the Large Hadron Collider. FPGA and Machine Learning Support for the Large Hadron Collider. Hardware Emulation of the RD53A Chip for the Large Hadron Collider. Morgan Enos, M.S., "Replication for Logic Partitioning", September 1996. Consultant. Oliver Stone, M.S., "A Comparison of ASIC Implementation Alternatives", October 1996. Joined Digital Equipment Corp.
Matt Hosler, M.S., "High-Performance Carry Chains for FPGAs", October 1997. Joined Motorola, then Arrow Electronics. Guangyu Gu, M.S., "Accelerating Photoshop Applications with Reconfigurable Hardware", May 1999. Joined United Airlines, then Microsoft. Venkatesh Karnam, M.S., "Applications of Reconfigurable Logic", March 2000. Joined Yahoo. Thomas Fry, M.S., "Hyperspectral Image Compression on Reconfigurable Platforms", June 2001. Joined IBM, then went for MBA. Melany Richmond, M.S., "A Lemple-Ziv based Configuration Management Architecture for Reconfigurable Computing", July 2001. Joined Quicksilver, then Zilog, then Cypress. Chandra Mulpuri, M.S., "Runtime and Quality Tradeoffs in FPGA Placement and Routing", July 2001. Joined NEC, then Velogix, then Xilinx. Zhiyuan Li, Ph.D., "Configuration Management for Reconfigurable Systems", November 2001. Joined Motorola. Katherine Compton, M.S., "Programming Architectures for Run-Time Reconfigurable Systems", Fall 1999. Ph.D. "Architecture Generation of Customized Reconfigurable Hardware", September 2003. Faculty at University of Wisconsin - Madison. Todd Owen, M.S. "FPGA Implementation of Error Correction and Improved SPIHT Compression for NASA Hyperspectral Images", June 2003. Joined Intel. Kimberly Motonaga, M.S. "Encryption RaPiD: A Comparison of Custom and Standard-Cell Designs", December 2003. Joined Boeing. Brigette Huang, M.S. 2D FPGA Layout, 2004. Joined Microsoft. Mark Chang, M.S., "Adaptive Computing in NASA Multi-Spectral Image Processing", 1999. Ph.D., "Variable Precision Analysis for FPGA Synthesis", 2004. Faculty at Olin College, then EdX, then Google. Shawn Phillips, M.S. "Automatic Layout of Domain Specific Reconfigurable Subsystems for System-on-a-Chip", 2001. Ph.D. "Automating Layout of Reconfigurable Subsystems for Systems-on-a-Chip", 2004. Joined Annapolis Microsystems, then Johns Hopkins University - Applied Physics Lab. Akshay Sharma, M.S. "Development of a Place and Route Tool for the RaPiD Architecture". Ph.D. "Place and Route Techniques for FPGA Architecture Advancement", 2005. Joined Actel, then Lecturer at the University of Washington, then Sun/Oracle. Mark Holland, M.S. "Harnessing FPGAs for Computer Architecture Education, 2002. Ph.D. Automatic Creation of Product-Term-Based Reconfigurable Architectures for System-on-a-Chip, June 2005. Joined Annapolis Microsystems. Mike Beauchamp, M.S. "Architectural Modifications to Enhance the Floating-Point Performance of FPGAs", August 2006. Joined MIPS. Peter Grossman, M.S. "Architecture-Adaptive FPGA Placment", December 2006. Joined MIT Lincoln Labs. Don DeWitt, M.S. "An FPGA Implementation of Statistical Based Positioning for Positron Emission Tomography", June 2008. Contractor with U.W. Dept. of Radiology. Allan Carroll, M.S. "Characterizing the Quality of QuickRoute, A Heuristic Pipeline Router", Summer 2008. Joined FamilyLink.com. Ken Eguro, M.S. "Encryption-Specific FPGA Architectures", Fall 2002. Ph.D. "Supporting High-Performance Pipelined Computation in Commodity-Style FPGAs", November 2008. Joined Microsoft Research. Nikhil Subramanian, M.S. "A C-to-FPGA Solution for Accelerating Tomographic Reconstruction", Spring 2009. Joined Microsoft. Nathan Johnson-Williams, M.S. "Design of a Real Time FPGA-based Three Dimensional Positioning Algorithm", Fall 2009. Joined Sandia National Labs, then Aerospace Corp, then New Wave Design and Verification. Ziyuan Zhang, M.S. Winter 2010. Joined Bonneville Power Administration. Jimmy Xu, M.S. Winter 2010. Joined Apple. Ben Ylvisaker, Ph.D. Autumn 2011. Joined Grammatech Inc, then Swarthmore College, then Colorado College. 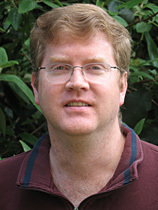 Brian Van Essen, Ph.D. Autumn 2011. Joined Lawrence Livermore National Labs. Adam Knight, M.S. "Multi-Kernel Macah Support and Applications", Autumn 2011. Joined Intel. Abhishek Raja, M.S. Autumn 2011. Joined AMD. Mike Haselman, M.S. "Bitwidth Analysis of Floating-Point Computations for FPGA Implementations", Spring 2005. Ph.D. "FPGA-Based Pulse Processing for Positron Emission Tomography", Spring 2011. Joined Sandia National Labs, then Microsoft. Corey Olson, M.S. "An FPGA Acceleration of Short Read Human Genome Mapping", Spring 2011. Joined Pico Computing. Maria Kim, M.S. "Accelerating Next Generation Genome Reassembly in FPGAs: Alignment Using Dynamic Programming Algorithms", Spring 2011. Joined ITT Tech, then Boeing. Stephen Friedman, Ph.D. "Resource Sharing in Modulo-Scheduled Reconfigurable Architectures", Summer 2011. Joined Pixar. James Pasko, M.S. Winter 2011. Joined Google. Andrew Price, M.S. "Hephaestus: Solving the Heterogeneous, Highly Constrained Analog Placement Problem", Winter 2012. Joined Cypress. Marshal Barrett, M.S. Winter 2013. Joined Garmin. Shaw-Pin "Bing" Chen, M.S. "Readout Driver Firmware Development for the ATLAS Insertable B-Layer", Spring 2014. Joined Ario. Joseph Mayer, M.S. "Three Generations of FPGA DAQ Development for the ATLAS Pixel Detector", Spring 2016. Joined Wolverine Trading, then Microsoft. Arushi Sonkhya, M.S. Spring 2016. Joined Philips HealthTech. Aaron Wood, Ph.D. i"Offset Pipelining for Coarse Grain Reconfigurable Arrays", Winter 2017. Joined Synopsys. Logan Adams, M.S. Spring 2017. Joined Microsoft. Lev Kurilenko, M.S. "FPGA Development of an Emulator Framework and a High Speed I/O Core for the ITk Pixel Upgrade", Spring 2018. Joined Lattice Semiconductor. Umaymah Khan, M.S. Spring 2018. Joined Microsoft. Nicholas Robillard, M.S. Spring 2018. Joined Blue Origin. Nathaniel McVicar, M.S. Autumn 2011, Ph.D. Autumn 2018. Dustin Werran, M.S. Winter 2019. Joined Micron. "How to have a good career in Computer Science." "Everything I wanted to know about C.S. graduate school at the beginning but didn't learn until later." "Information for graduate students & those considering graduate study in Computer Science, Computer Engineering and Electrical Engineering"
"Graduate Student Resources On The Web"
"Advice on Research and Writing"
Associate Editor, International Journal of Reconfigurable Computing (IJRC), 2007 - 2012. Guest Editor (with Toomas Plaks and others), ACM Transactions on Embedded Computing Systems, special issue on Configurable Computing: Configuring Algorithms, Processes, and Architecture, 2008. Guest Editor (with Miriam Leeser and Russ Tessier), EURASIP Journal of Embedded Systems, special issue on Field-Programmable Gate Arrays in Embedded Systems, 2006. Associate Editor, IEEE Transactions on VLSI Systems, 1999-2000.